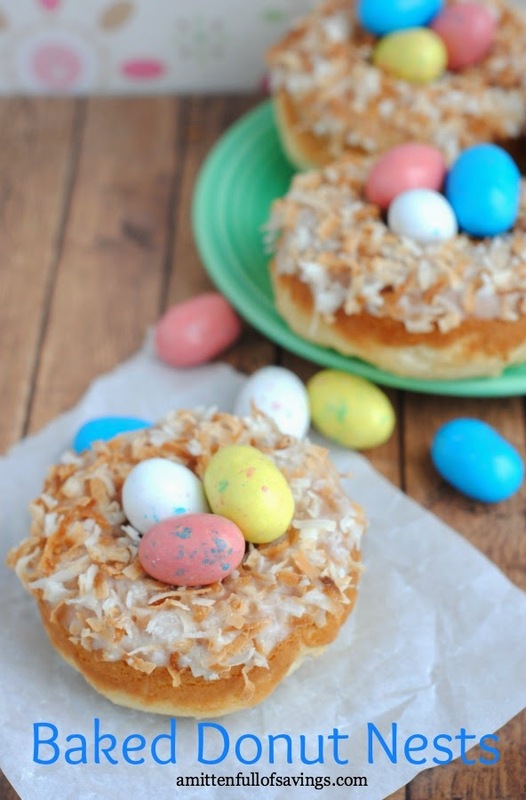 I have seen some super cute ideas for Easter brunch and the Easter donuts are my favorite, so I thought I would share five of my favorite Easter doughnut ideas with you. Or donut ideas...whichever you prefer. 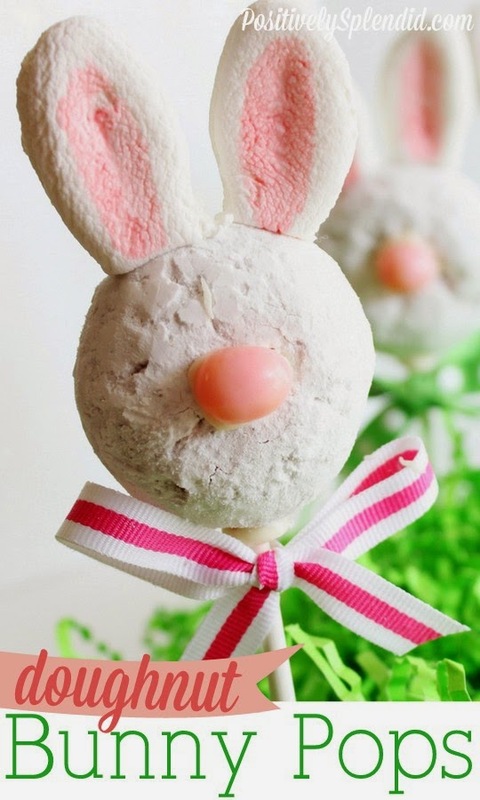 The first are these super cute bunny doughnut pops from Amy at Positively Splendid. Her cute marshmallow ears are edible, but I also like the pipe cleaner ears from these bunny donuts from See Vanessa Craft. 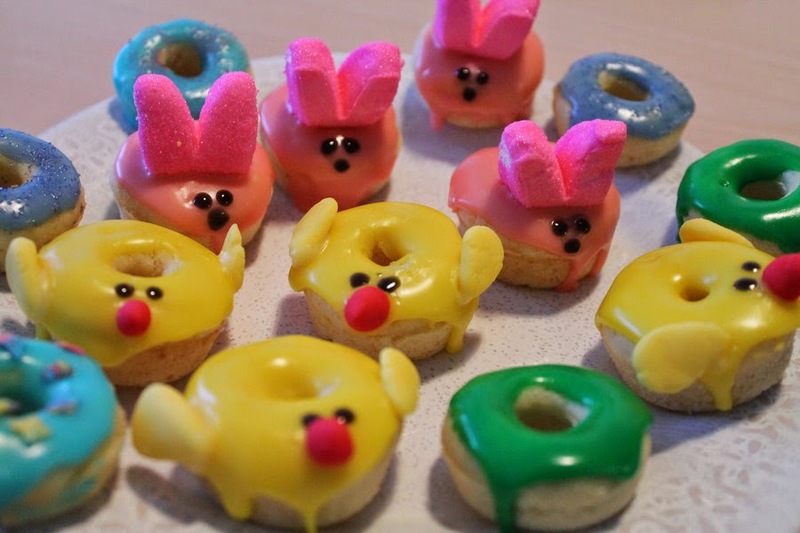 If you are more a fan of Easter chicks than Easter bunnies, check out this cute idea for Easter donuts I saw on deviant art by user Lotopaunanka. I am not sure what she used, but I am thinking almond slices would work for the wings. You can also use the store bough mini donuts to make these cute Spring donut nests from A Mitten Full of Savings for your Easter brunch. 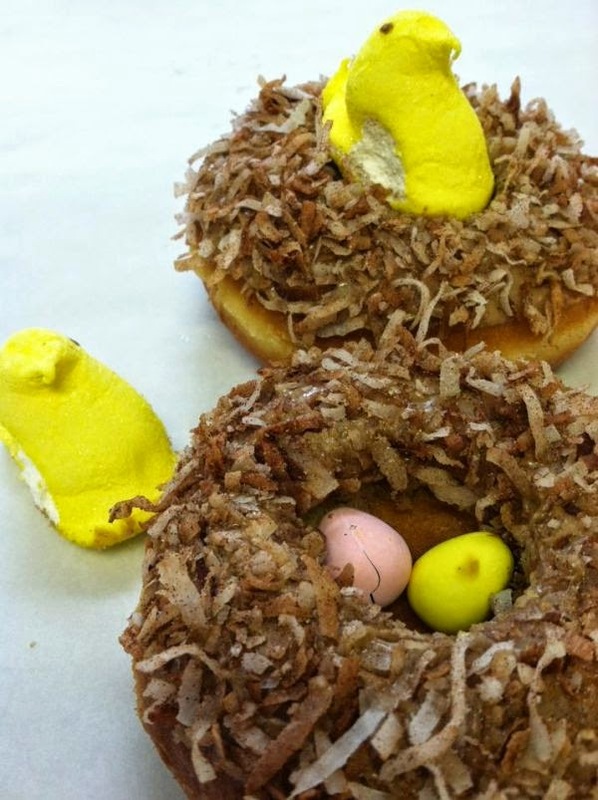 Or you can use full size donuts and replace the egg Easter candies with already hatched Peeps like these Easter nest donuts from Neatorama. 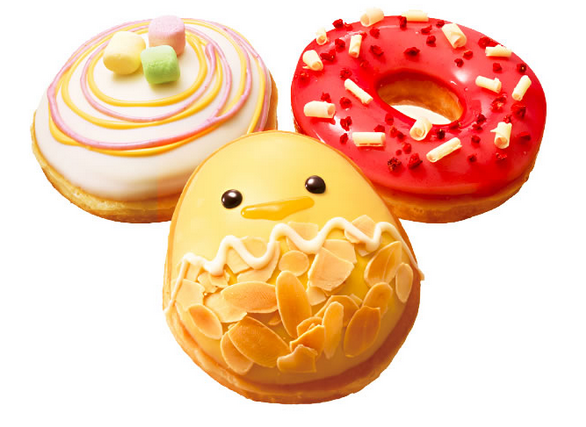 And one of my all time favorite ideas are these cute Easter chick donuts that Krispy Kreme sold in Japan, but not here in the US. They might not be hard to make if Krispy Kreme sells just the plane white frosted donuts. The filled donuts would be easy to decorate like Easter eggs too! 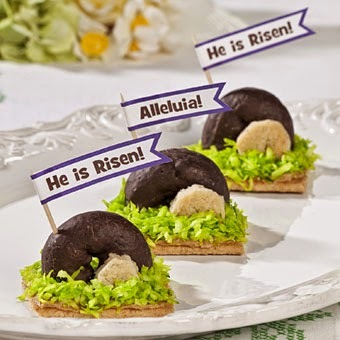 If you are looking for something that focuses more on the real meaning of Easter, Free-N- Fun Easter has a great idea for empty tomb Easter donut treats. 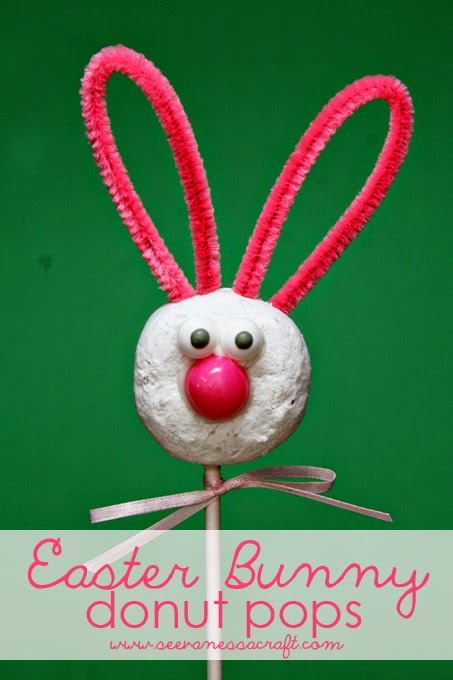 These would be fun for a snack for your Sunday School class on Easter Sunday. 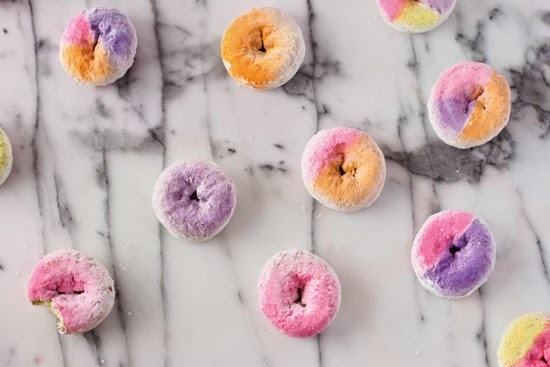 And if you want festive, simple, and still really cute, Paper & Stitch has a tutorial for these pastel ombre donuts that would probably match your Easter color scheme perfectly. I apologize for the sugar coma this post may cause, but Easter is usually a sugar coma waiting to happen, so I guess I am glad I could help.